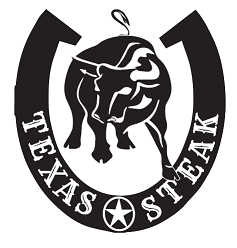 The people here at TexasSteak are fans of a good meal with good friends. We consider ourselves ‘Grill Masters’ and know the key to a great steak is a perfect cut of meat. We’ve spent years looking for the best steak recipes and sauces. We have ordered steaks cut from our local butchers and had them same day shipped from around the country. We endorse the steak recommendations on this site and use these same Texas Steaks and Sauces on our grills at home. Tried the all new Texas Steak Barbecue Burger? From the top to bottom this new favorite is taking America by storm. The heart of this classic is 100% pure Angus steak right from the heart of Texas. Smother on your favorite BBQ sauce and zesty cheese and you’re sure to amaze neighbors and friends alike. 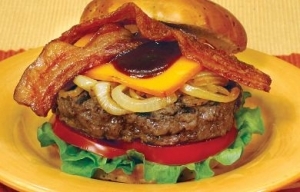 Check out our all new Texas BBQ Burger Recipe! The steaks featured on here are stored in a climate controlled warehouse and ship them directly to you per order. We prefer Certified Angus Beef, which is the finest Texas steaks and prime rib on the market. Get your Grill on Fast! Most orders received will ship out the same day. We have reviewed a full line of sauces and accessories to help any backyard grill master cook his steak to perfection. So fire up the grill and make a visit to TexasSteak.com for all of your steak and grilling needs! Ready to get cooking? Order your steaks, wine and sides now! Texas Steaks: The Best Steaks for your Grill! TexasSteak.com is your one stop shop for the freshest steaks available, delivered to your door. We take the guess work out of a great steak. We are passionate about quality and flavor. Choose from our many recommended sauces and accessories to make your next cookout a success!